Yeeey! I'm happy to tell you that I won the contest! Remeber about it? Well, if you don't you can see the post here. The prize was a 400 Ron (~100 euro) voucher from Reserved and as promised I'm showing you guys what I bought. Aren't they lovely? I will make outfit posts with the clothes too when I'll have more free time. And I also want to thank everyone that voted for me. Big hugs and kisees for all of you! I will catch up with your comments soon!I'm sorry I don't have time to respond to them, but I can't wait to read your beautiful posts! And also found an online photo editor called PicMonkey.That's why all the edited photos. What do you use to edit photos? I'd like to hear some options, except using Photoshop and Instagram. Yay, that is awesome! It looks like you got some great pieces! Nice items. I use Snapseed to edit my pictures. It's an iPhone app and I really like it! You've found some really pretty pieces hun, looking forward to seeing them in an outfit post! Wow! Super great items! Love coral sweater! Congrats on a great blog, I just started scrolling down old posts and I love them! That's so exciting. I love the little collars especially. Totally love the print ! 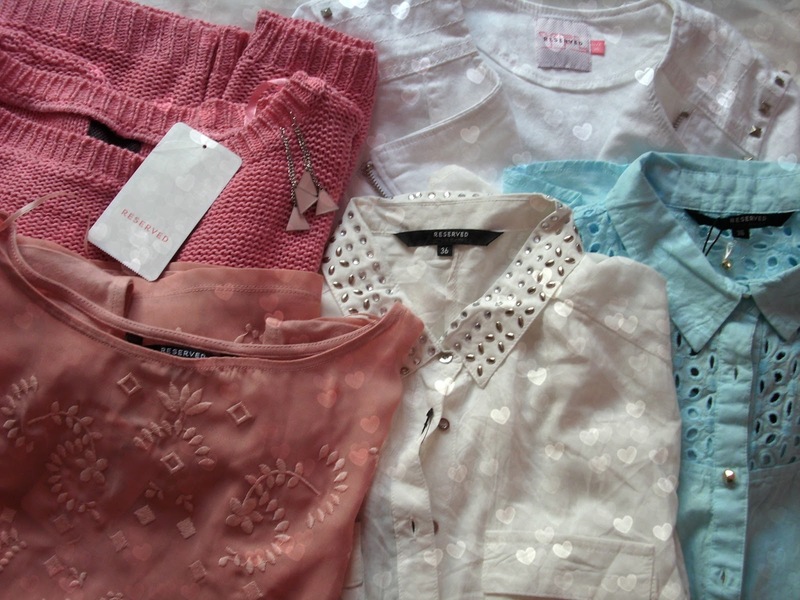 You have some great stylish items I really like studded blouse and knitted sweater! Oh I just uploaded 2 new posts and I would love to hear your opinion ! big congrats! pretty pretty things! can't wait to see them in your outfit posts.